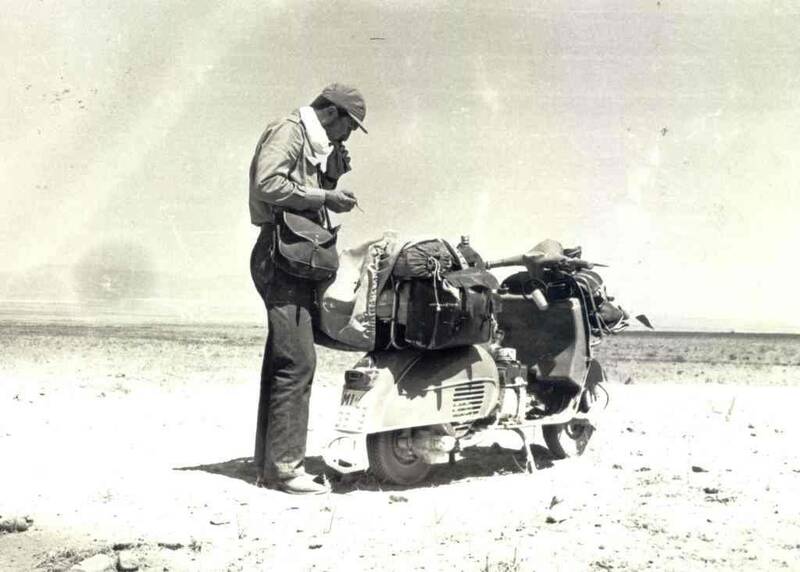 Roberto Patrignani photographed in Afghanistan on his way to Tokyo from Italy on a 1964 Vespa adapted to the purpose. Found on MODamorphosis on TUMBLR. An ambitious set-up for sure. More about Roberto and his amazing travels can be found here at the Scooterist or just click an image below.